You will know from our digital media infographics and success maps that we're big fans of using visuals to help simplify understanding of the many opportunities in digital media. Here's a visual representation of online media options we wish we had thought of. It's from our friends over at agency Hallam Internet and needs no further explanation. Great isn't it? I do like the way they have SEO at the core. I'll certainly be using it as a new way to to explain the digital media options in future training sessions. 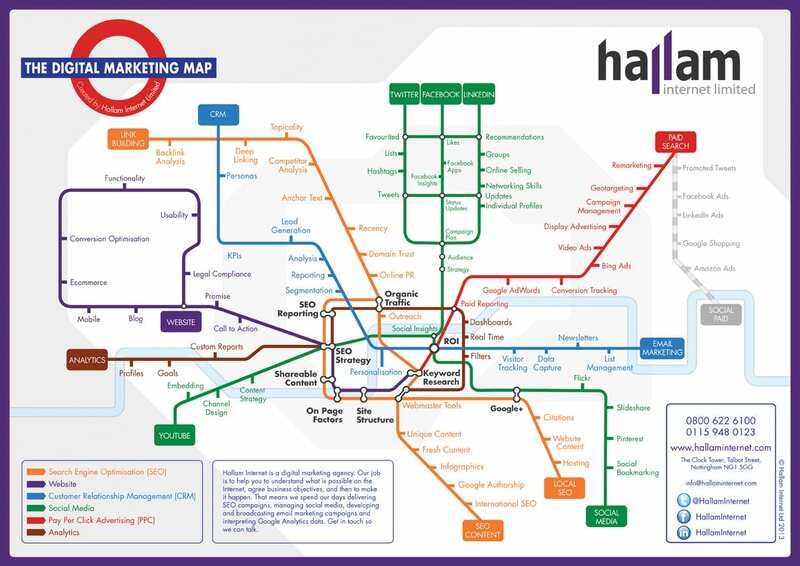 If you would like a larger "Print for the Wall version" do check download printable versions on the original post: Digital Marketing Tube Map – A Guide to Internet Marketing.